Epidemiology and Food Safety Risk Analysis—A Comprehensive Course in QRA, October 9–13, 2017, Ft. Collins, Colorado. Whether you have no prior training or work experience in quantitative risk analysis, or if you want to further improve your risk analysis skills, you will be interested in our course, Epidemiology and Food Safety Risk Analysis (formerly Animal Agriculture & Food Safety Risk Analysis and Disease Modeling). For more information, contact Barbara O’Neill at boneill@epixanalytics.com. Bureau Veritas has been helping companies meet standards and comply with regulations since 1828. See the company’s recent listing at http://www.riskworld.com/risk-consultants/. National Environmental Trainers, Inc., launched the first online HAZWOPER course in 1998 and redefined hands-on training with its HAZWOPER Hands-on Simulator® in 2004. Today the full-service compliance education company is currently the only HAZWOPER training provider with courses designed for all mobile devices, including iPads®, tablets, and smart phones. HAZWOPER Mobile Training® provides the same functionality on mobile devices that is available on the desktop, with seamless integration between the two. For information on all the courses that National Environmental Trainers offers, visit https://www.natlenvtrainers.com/. Findings of the Commission on a Global Health Risk Framework. The commission’s report The Neglected Dimension of Global Security: A Framework to Counter Infectious Disease Crises was released on January 13. The GHRF webpage provides links to the report and related resources. Go to http://nam.edu/initiatives/global-health-risk-framework/. Small Modular Reactors: Nuclear Power Fad or Future? by Daniel T. Ingersoll of NuScale Power USA, a highly respected expert in the nuclear industry, was released December 8, 2015. This unique guide to small modular reactors presents policymakers in government, business, and research with the background they need in small nuclear power to create a balanced discussion of the many advantages of SMRs and the criticisms they face. How Do You Balance the Benefits of Social Media with Its Underlying Risks? Available now, Social Media Risk and Governance: Managing Enterprise Risk is a practical guide to the components and considerations which make up a good social media governance strategy, from external communications channels such as Facebook, Twitter, and LinkedIn to enterprise social networks within an organization. Written by social media risk and governance expert Phil Mennie of PwC, the book addresses the concepts professionals in information security, marketing, compliance, and risk management all need to take into account, guiding readers through policy evaluation, planning on social media, information security and fraud risks, how to respond to a crisis, archiving data, and more and features examples from companies such as BP, MasterCard, Netflix, PwC, Silk Road, UBS, and Yelp. Is Your Job, Home, or Hobby Affecting Your Health? Tales from a Risk Blogger Who Tries to Avoid Fanning the Flames, January 26, 2015, by RiskWorld contributor Carolyn Evans. 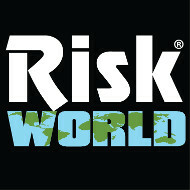 When RiskWorld went looking for risk blogs to feature, one of the first to be recommended was Michael Jayjock’s Human Health Risk Assessment to Chemicals, which one long-time reader called a “thoughtful” look at today’s risk assessment issues. RiskWorld contributor Carolyn Evans interviewed Dr. Jayjock and reports here on his experience as a blogger. New Report Warns of Potential Supply Shortage of the Medical Isotopes Molybdenum-99 and Technetium-99m in U.S. (9/12/16, National Academies) Read Molybdenum-99 for Medical Imaging (2016). U.S. Should Act to Support Innovation in Increasingly Clean Electric Power Technologies and Remove Barriers to Their Adoption (9/8/16, National Academies) Read The Power of Change: Innovation for Development and Deployment of Increasingly Clean Electric Power Technologies (2016). Atlantic Hurricane Season Still Expected to Be Strongest Since 2012 (8/11/16, National Oceanic and Atmospheric Agency) Forecasters now expect 70-percent chance of 12–17 named storms. New Report Calls for Rigorous Monitoring to Evaluate Ecological Restoration in the Gulf of Mexico (7/26/16, National Academies) Read Effective Monitoring to Evaluate Ecological Restoration in the Gulf of Mexico (2016). Gene-Drive Modified Organisms Are Not Ready to Be Released into Environment; New Report Calls for More Research and Robust Assessment (6/8/16, National Academies) Read Gene Drives on the Horizon: Advancing Science, Navigating Uncertainty, and Aligning Research with Public Values (2016). Strengthening and Sustaining Strong Safety Culture for Offshore Oil and Gas Operations Requires Collective Action Among Industry and Regulators (5/25/16, National Academies) Read Strengthening the Safety Culture of the Offshore Oil and Gas Industry (2016). Fukushima Daiichi Nuclear Accident Is “Wake-Up Call” for U.S. to Improve Real-Time Monitoring of Spent Fuel Pools (5/20/16, National Academies) Read Lessons Learned from the Fukushima Nuclear Accident for Improving Safety and Security of U.S. Nuclear Plants: Phase 2 (2016). Distinction Between Genetic Engineering and Conventional Plant Breeding Becoming Less Clear, Says New Report on GE Crops (5/17/16, National Academies) Read Genetically Engineered Crops: Experiences and Prospects (2016). Bullying Is a “Serious Public Health Problem,” Says New Report; Evidence-Based Approaches to Prevent Bullying and Its Harm Could Have a Dramatic Effect on Children’s Well-Being and Development (5/10/16, National Academies) Read Preventing Bullying Through Science, Policy, and Practice (2016). Remote Real-Time Monitoring of Offshore Oil and Gas Operations – New Report (5/2/16, National Academies) The report Application of Remote Real-Time Monitoring to Offshore Oil and Gas Operations (2016) from the National Academies of Sciences, Engineering, and Medicine recommends how the Bureau of Safety and Environmental Enforcement of the U.S. Department of the Interior could apply remote real-time monitoring (RRTM) to improve the safety and reduce the environmental risks of offshore oil and gas operations. Gorilla Safety Introduces First and Only Fully Integrated Mobile Application for Fleet and Safety Management (4/11/16, Gorilla Safety Fleet Management) This newly formed company brings its patented cloud-based fleet and safety solution to market. New Grant Opportunity: Emerging Food Risks, Mycotoxin Mixtures, Animal Diseases (4/1/16, European Food Safety Authority) EFSA has launched its second thematic grant call for proposals on methodology development in risk assessment. The thematic grant scheme aims to facilitate scientific cooperation in the EU, boost innovation and support the exchange of expertise and best practice in areas relating to EFSA’s work. National Zika Summit Focused on Coordinated U.S. Response (4/1/16, Centers for Disease Control and Prevention) Officials from most-at-risk states in Atlanta will develop action plans for implementation following the Summit. Lloyd’s Register Named Inspection Agency for Wylfa Newydd Nuclear Plant Project (3/31/16, Lloyd’s Register) Horizon Nuclear Power has chosen the UK-based international inspection body for supply chain oversight. Longer-Term Weather and Environmental Forecasts Will Provide Enormous Benefit with More Research and Sustained Investment, New Report Says (3/29/16, National Academies) Read Next Generation Earth System Prediction: Strategies for Subseasonal to Seasonal Forecasts (2016). Children with Cushing Syndrome May Have Higher Suicide Risk (3/29/16, National Institutes of Health) NIH study finds that depression, anxiety and suicidal thoughts increase after treatment. Lloyd’s Register Releases Guidance Notes for Inspection with Unmanned Aircraft Systems (UAS) (3/22/16, Lloyd’s Register Group Limited) New guidance approach supports industry in the safe and effective deployment of next generation drone and UAS technology that can significantly improve productivity gains through reducing risk exposure, survey times and in-service inspection costs of offshore, marine and onshore infrastructure. “Eyes in the sky” technology opens the way to rapid, safe and repeatable inspections that will lead to long-term benefits for energy and marine operators seeking high levels of integrity, compliance and commercial advantage. Scientific Colloquium: Epigenetics and Risk Assessment (3/17/16, European Food Safety Authority) The issue of epigenetic changes and their impact on human health and life span was prominently discussed at EFSA’s second scientific conference “Shaping the future of food safety, together” in Milan. In response to the interest in this issue, EFSA has selected epigenetics as the subject of its next scientific symposium, which will be held on 14 and 15 June 2016 in Valencia, Spain. New Report Says Science Can Estimate Influence of Climate Change on Some Types of Extreme Events (3/11/16, National Academies) Read Attribution of Extreme Weather Events in the Context of Climate Change (2016). Superbugs: MEPs Want to Curb Use of Antibiotics in Farming (3/10/16, European Parliament) To fight the growing resistance of bacteria to today’s antibiotics, the use of existing antimicrobial drugs should be restricted, and new ones should be developed, said the European Parliament. New Report Provides Recommendations for Improving Social Security Administration’s Process for Determining Whether Adult Beneficiaries Are Capable of Managing Their Financial Benefits (3/9/16, National Academies) Read Informing Social Security’s Process for Financial Capability Determination (2016). Better Evidence, Oversight Needed to Improve Effectiveness and Availability of Biomarker Tests for Molecularly Targeted Therapies, Says New Report (3/4/16, National Academies) Read Biomarker Tests for Molecularly Targeted Therapies: Key to Unlocking Precision Medicine (2016). New Report Finds “Surprising Gaps” in Knowledge of Ovarian Cancers; Better Understanding Needed to Make Progress in Prevention, Early Detection, Treatment, and Management of Disease (3/2/16, National Academies) Read Ovarian Cancers: Evolving Paradigms in Research and Care (2016). Security with the Wave of a Wand (2/29/16, National Science Foundation) Dartmouth project designs cybersecurity measures for home-based health care. EPA Proposes Revisions to Its Risk Management Program to Improve Chemical Process Safety and Further Protect Communities and First Responders (2/25/16, U.S. Environmental Protection Agency) For more information about the proposed rule, go to http://www.epa.gov/rmp/proposed-changes-risk-management-program-rmp-rule. UA’s Kittles Breaks New Ground in Genetics (2/22/16, University of Arizona) A lifelong quest for self-discovery led nationally prominent researcher Rick Kittles toward a number of significant findings for African-Americans. 1 in 3 Adults Don’t Get Enough Sleep (2/18/16, Centers for Disease Control and Prevention) A good night’s sleep is critical for good health. Register for SBCA Conference and Workshops, March 16–18, 2016 (2/17/16, Society for Benefit-Cost Analysis) See list of workshop offerings. Volume 10: Update of Health Effects of Serving in the Gulf War, 2016. NOAA Launches Unprecedented Effort to Discover How El Niño Affects Weather (2/5/16, National Oceanic and Atmospheric Administration) The Pacific research goal is to improve accuracy of weather forecasts and models. Environmental Risk: Harmonising Assessment, Protecting Biodiversity (2/3/16, European Food Safety Authority) EFSA has published two Scientific Opinions on environmental risk assessment (ERA), with a third to follow shortly. Reinhilde Schoonjans explains the issues at the heart of this major project. Links to the opinions are provided at the end of the news release. Clinical Investigations of Mitochondrial Replacement Techniques Are “Ethically Permissible” If Significant Conditions Are Met, Says New Report (2/3/16, National Academies) Read Mitochondrial Replacement Techniques: Ethical, Social, and Policy Considerations (2016). Participants in Personal Genome Project Weigh Risks and Benefits of Data Sharing (2/3/16, Silent Spring Institute) Findings could inform revisions to the Common Rule. ATVs Are Dangerous to Children (2/3/16, Consumer Federation of America) No significant change in injuries and estimated number of all-terrain vehicle deaths is down slightly for children, but data is incomplete. A Minefield of Risks for Taxpayers (2/3/16, Consumer Federation of America) CFA releases its new analysis on the perils taxpayers face from unregulated preparers, lack of fee disclosure, and tax-time financial products. More than 3 Million U.S. Women at Risk for Alcohol-exposed Pregnancy (2/2/16, Centers for Disease Control and Prevention) Sexually active women who stop using birth control should stop drinking alcohol, but most keep drinking. Also read FAQ about alcohol and alcohol consumption. Report Affirms the Goal of Elimination of Civilian Use of Highly Enriched Uranium and Calls for Step-wise Conversion of Research Reactors Still Using Weapon-grade Uranium Fuel; 50-year Federal Roadmap for Neutron-based Research Recommended (1/28/16, National Academies) Read Reducing the Use of Highly Enriched Uranium in Civilian Research Reactors (2016). 2016 Risk Predictions for Business: Institute of Risk Management (1/27/16, Institute of Risk Management) IRM experts look to the year ahead and make 2016 risk predictions. New Report Finds Near-Term Update to Social Cost of Carbon Unwarranted (1/26/16, National Academies) Read Assessment of Approaches to Updating the Social Cost of Carbon: Phase 1 Report on a Near-Term Update (2016). Trying to Conceive Soon After a Pregnancy Loss May Increase Chances of Live Birth (1/11/16, National Institutes of Health) NIH study finds no reason for delaying pregnancy attempts after a loss without complications. New Report Finds No Significant Increase in Health Risks for 1960s Project SHAD Veterans (1/8/16, National Academies) Read Assessing Health Outcomes Among Veterans of Project SHAD (Shipboard Hazard and Defense) (2016).